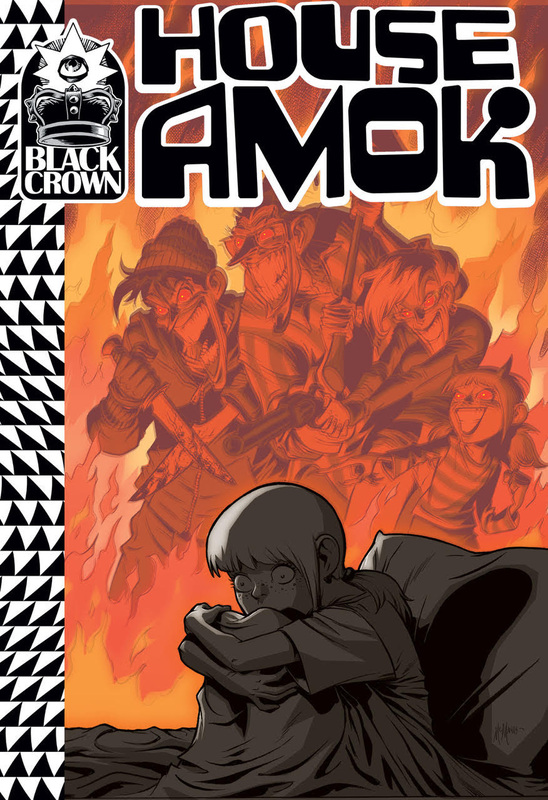 Black Crown will have a new horror comic mini series to wet your appetites.....HOUSE AMOK. From the creative powerhouse team of Christopher Sebela (Hard Crimes) and Shawn McManus (The Sandman: Game of You), this 5-issue miniseries is equal parts bloody reality, dark conspiracy, and magical fantasy. Delve into a character-driven study of a damaged nuclear family as we follow twin sisters in a claustrophobic, high-speed American road trip from Portland to the east coast.